Jason Yoshida specializes in solo and continuo performance on lutes and historical guitars. In a Los Angeles Times review, Mark Swed described a solo lute performance of Yoshida’s as “eloquent and serious.” He received international recognition for his CD Mozart Encomium featuring the world premiere recording of Scheidler’s virtuosic Variations on a theme by Mozart for Baroque lute. 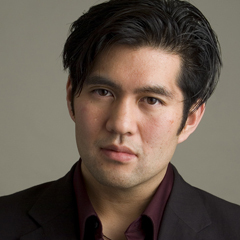 Yoshida has performed and recorded with Ciaramella, directed by Adam and Rotem Gilbert. Recent performances with the ensemble include concerts for the Berkeley Early Music Festival, Getty Museum, Da Camera Society, and early music societies of Hawaii, Arizona and San Diego. Yoshida performed on theorbo, Baroque guitar and Renaissance guitar for their internationally acclaimed CD Dances on Movable Grounds which features 16th and 17th century music and improvisations. Yoshida can also be heard on recordings released by Radio Bremen, Yale University and Yarlung Records. In demand as a continuo player, Yoshida performed in L.A. Opera’s presentation of Handel’s Tamerlano featuring Placido Domingo. He has also been invited to play continuo in productions of the UCSB and USC Thornton Opera departments, Hawaii Performing Arts Festival, Bach Collegium San Diego and the Hawaii Early Music Society. He was selected by Early Music America to perform in the EMA Festival Ensemble at the 2011 Boston Early Music Festival. Yoshida has performed with many Southern California based ensembles including Les Surprises Baroques, Angeles Consort, Con Gioia, Corona Del Mar Baroque Festival Orchestra, and the Los Angeles Chamber Singers. Yoshida holds a Doctor of Musical Arts in early music performance from the USC Thornton School of Music where he also completed a Master of Music in classical guitar. He received a Bachelor of Music from UC Santa Barbara. Yoshida studied with renowned musicians such as Adam Gilbert, Rotem Gilbert, James Smith, Alejandro Planchart, Paul O’Dette, Xavier Diaz-Latorre, Jose Luis Rodrigo, William Prizer, and William Skeen.